Over the first weekend in September, taking place in Brooklyn, NY is a new kind of art show. Entirely created by and featuring young emerging artists, Sonder, is an exhibition you won't want to miss. I took the time to have a short digital chat with the organizers of the show, Emma Orland and Carolyn Hallock, two ambitious teenagers out to prove that the art world is ignoring a whole generation of brilliant creatives. Sarah Sickles for Pink Things: Can you tell me a little bit about yourselves? Who are you and what do you do? Our names are Emma Orland and Carolyn Hallock. 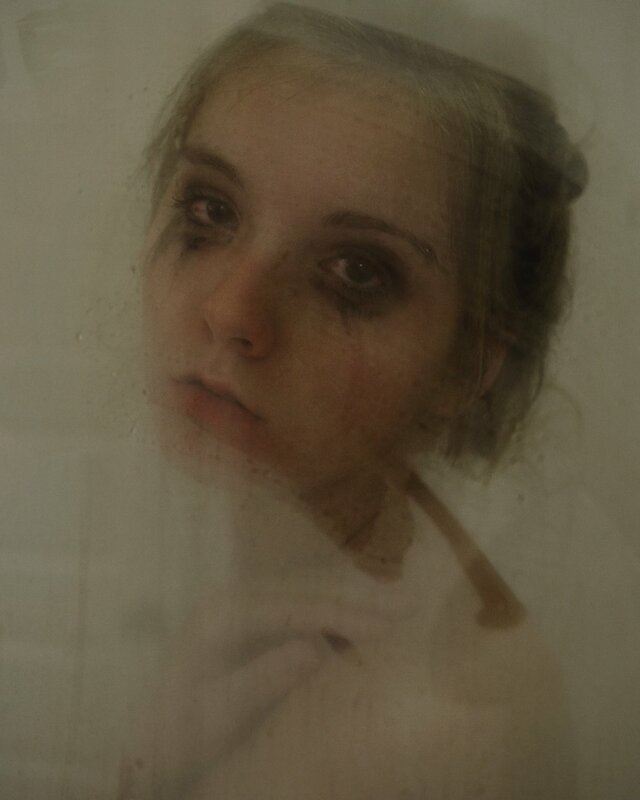 Emma is a 16-year-old photographer and videographer from Manhattan. Carolyn is an 18-year-old artist and fashion enthusiast. Her main medium is photography, but in the past year she has gotten into printmaking. Carolyn is from Sag Harbor, New York, but is attending college in Manhattan this fall. Pink Things: What is the Sonder exhibition? What is it going to be? Sonder is a Brooklyn art show that will be showcasing the art of young creatives that work in many creative mediums. We hope that the exhibit will bring light to the fact that young artists are more than capable of working professionally. Pink Things: Why did you create it? What inspired the idea directly and indirectly? Emma Orland: The idea initially came about in early June when I was in a low state and felt like I wasn’t contributing anything to the world. The night the idea came to mind, I texted Carolyn and told her about it since I knew we were both very passionate about art—she was all for it. The idea to curate an art show definitely was inspired by Brittany Natale and her exhibit, Teen Dream, because I absolutely love the way she gives young artists a platform and I wanted to achieve something similar. Carolyn Hallock: As a young artist, you don’t get many opportunities to show your work, and I wanted to help change that. Pink Things: Why do you feel it is important to create a show and space like this? Carolyn Hallock: Having a show like this is so important in the art community, because it is allowing young artists, who often don’t have the opportunity, to show their work and gain exposure. Being a young artist myself, I have found it very difficult to find opportunities to show my work that aren’t connected with my high school. Giving young artists this opportunity helps to show that young people are capable of being independent with their art career, and don’t need the constant assistance of adults. Emma Orland: I feel that it is so important to give young artists a way to show their work in a more professional environment because work created by young people often is overlooked or is disregarded and simply becomes a manifestation of their young age. By putting the incredible art of young artists in one central space without explicitly listing the ages of the artists, it allows for the art to speak for itself and for it not to be overshadowed by a number. Pink Things: How do you see this show tackling ageism in the art world beyond just showing younger artists? Carolyn Hallock: Sonder is tackling ageism in the art world by not only showing the work of young artists, but because Emma and I are both young ourselves. We have done the all the work leading up to Sonder predominantly by ourselves, which shows that teenagers are very capable of doing something big, and being successful. Emma Orland: Over the course of these few months, many of people I have spoken to about Sonder initially asked me, “Oh, wow! That’s great! Did your mom help you with this?” in a way that assumes that we are incapable of curating a show without the help of an adult. It always takes people by surprise when I tell them that my mom didn’t even know we were doing this until much later into the process of curating the exhibit. Since Carolyn and I are so young, I imagine that we are actively tackling ageism in many ways. By being young curators and by working with young artists in such a professional manner, we are very much working against the notion that teenagers and millennials are indolent. Pink Things: Why this name? Carolyn Hallock: Emma and I originally were stumped on a name for the exhibition, but then stumbled across the word “Sonder”. We both felt that the idea of everyone “having a life as vivid and complex as one’s own” was deeply connected to the premise of the exhibition. Emma Orland: Though your school will tell you not to trust wiki pages, the wikipedia definition of “Sonder” is, “the profound feeling of realizing that everyone, including strangers passed in the street, has a life as vivid and complex as one's own,” which we felt strongly resonated with the aim of our exhibit. We wanted to show that young artists are capable of having complex ideas, even if they often go unnoticed. Pink Things: Have there been a lot of submissions thus far? What kinds of patterns do you see emerging within the submitted works? So far we have around 80-something submissions. We have been receiving a lot of fine art and photographs. Many of the pieces submitted very clearly pertain to topics the artist is passionate about. There’s something about all the art submitted that feels so authentic; seeing this in all the art has truly been one of the best parts of this experience… so far. Pink Things: How does the Sonder exhibition relate to pink? The Millennial Pink fad has been growing for quite some time now. Seeing as our logo is in that shade, it becomes part of a deeper meaning. In addition to being a pretty shade, it acts as a representation of the people whose work we are showcasing. Pink Things: What’s next for you? What’s going to happen after the exhibition? The future is to be determined, though we definitely hope to make Sonder a recurring exhibit and continue to work with these talented artists in the future in some way, shape, or form. The Sonder opening reception will take place from 6PM - 9PM on September 4th and the exhibit will be up for the public from 2PM - 8PM on September 5th and September 6th at 119 Ingraham Street, Brooklyn, NY, Gallery 104.